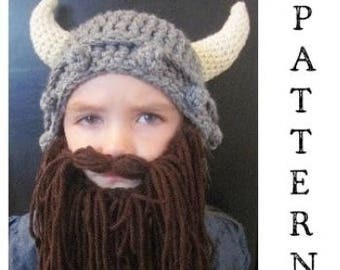 This listing is for a handmade KIDS Viking Hat and Beard! Beard comes over 10" long and sewn into the hat. 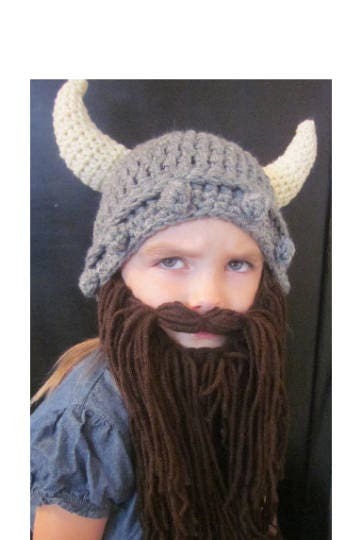 Button Holes are crocheted into the beard just in case you want to remove it and attach it with buttons instead. Please send us a message with any questions you have.